Sturgeon Denture Clinic provides the fitting, fabrication and delivery of removable prosthodontics which include dentures, partial dentures, dentures over implants, acrylic partials, flippers, and night guards. “We decided to go into business because we wanted to help people and give them confidence in knowing that they could have an appliance that could function well while looking great!” says Suzy Boucher-Shigeta, denturist. We are committed to working as a team to provide the highest quality dental care in a comfortable relaxed and friendly environment. With 22 years in business, Sturgeon Denture Clinic thanks St. Albert and area for their years of support and patronage. We are a full service leisure and corporate travel agency focusing on Australia and the South Pacific; cruises; sports groups and tours; Italy & Europe and Destination Weddings, Honeymoons and Milestone Celebrations. Epic World Travel Company can offer you, your family and friends travel advice to help make your trip a success with memories to last a lifetime. Having traveled extensively, our Epic Experts are knowledgeable in all forms of travel; beach holidays, active journeys, adventure travel, group tours, air and hotel packages, ocean and river cruises, arts & culture and more! We can offer you the kind of comprehensive, detailed travel planning that is unequaled! Our travel advisors have worked together as a team in the industry for many years, much of that time spent in the St. Albert community. This dedicated group of professionals guarantees our clients a commitment to your valuable investment and offers a confidence that we will deliver a high-quality product, one that will leave you with fond memories of a great vacation. Receive knowledge from an expert. Alleviate the stress of planning complex itineraries. We will take care of you. St. Albert and area residence can take “solace” in the fact that a skin and laser clinic is nearby that focuses first and foremost on providing safe and effective treatments, while making you feel comfortable and empowered in what can be the confusing world of aesthetic medicine. Conveniently located on St. Thomas Street, Solace Medical Clinic provides laser hair removal, facial rejuvenation, fillers, treatment of acne and acne scarring, CoolSculpting®, and more. The treatments provided at Solace are medical (such as treatment of migraines or hyperhidrosis) or aesthetic (such as microneedling or growing fuller natural eyelashes). Our Physicians and nurses will provide a free consultation to customize a plan that completely suits your treatment needs. We use the latest technology in pulsed light treatments, Fractora skin rejuvenation, cosmetic botox and fillers. Dr. Shauna MacIver has over 15 years’ experience with injectable procedures. Solace Medical is also your source for complete skin care systems as well as acne and rosacea management. Whatever your reasons for visiting Solace, you’ll find a professional, friendly, caring, clean environment; fully trained technicians, and outstanding treatment results. “In this business, every day is special,” smiles Kim Borle, owner of The Bookstore on Perron. It’s not hard to agree. Who doesn’t love a quaint bookstore that is brimming with adventure books, true stories, exciting fiction, romantic tomes, classic stories, and more! Borle says the store rose from her mother’s love of books. Over the years and as a family, the Borles listened to what their customers wanted, and grew the business to the success it is today. “Our motto is ‘any book from anywhere,’” says Borle to the delight of readers in St. Albert and area. Anyone that has tried to track down an out-of-print or translated novel can relate. Thankfully, Borle knows how important the ‘any book’ motto is, as she grew up in a book-loving family. “We are an independent family owned bookstore spreading over four generations,” she confirms. If you love paper over technology and gifts over gadgets, stop by The Bookstore on Perron where your next unique and personal adventure is just a turn of the page away. Guy C. Hebert is the broker/owner of Bermont Realty (1983) Ltd., and he and his associates know that buying a home or owning a property is big personal or professional investment. To help individuals and companies confidently make the right real estate decisions, his firm provides residential and commercial sales as well as property management. Bermont Realty takes pride in being a local and growing with the community. Learn more by visiting www.bermontrealty.com online or @bermontrealty on Facebook. Dr. Aaron Patel, Dr. Amy Bakelaar and Dr. Rajan Mistry and the team at St. Albert Optometrists’ Clinic provide all the eye heath and eye wear services you need under one roof. The clinic’s complete circle of care includes an on-site Optometrist for routine appointments and specialized care and testing for issues like macular degeneration. Frame and lens stylists ensure you get the glasses you need that match your style and personality. Customer-oriented support and administrative team members provide direct billing (for most insurance carriers) and help you book your appointments. Specialized services include OCT imaging, contact lenses, LASIK pre-and-post op, RCMP/EMS testing, Optomap, and visual field testing. In the showroom, you’ll find frames and sunglasses at all price points, including popular brands such as: Hugo Boss, Gucci, Kate Spade and Prada. Always community-focused, St. Albert Optometrists’ Clinic donates an eye exam, eye care and/or glasses to someone in need for each pair of glasses purchased. 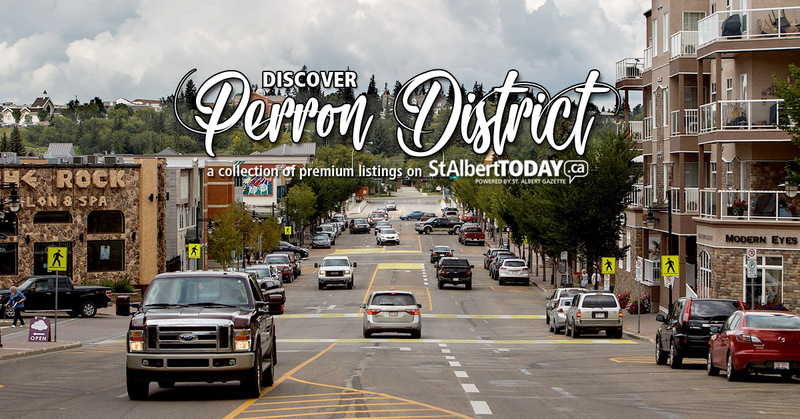 For all your eye care needs, rely on the experienced professionals at St. Albert Optometrists’ Clinic, which is conveniently located on Perron Street. Learn more by visiting www.stalberteye.com online. Fine Lines Medical Aesthetics is St. Albert’s first injectables only clinic. Joanne Prodahl has worked as a registered nurse for 22 years and has the distinguished honour of being in the top 3% of injectors across Canada. This privilege enables her to attend elite level training with top injectors from around the world. Fine Lines proudly carries high-quality cosmetic injectables, such as Botox® and Juvéderm®. By using Botox® treatments, we can help relax the muscles that cause lines and wrinkles. With Juvéderm®, we can instantly restore lost volume to redefine features and treat unwanted lines. We can help you look less tired, more youthful, and give you confidence to boost your quality of life. We also offer skincare products by SkinMedica®. which are scientifically proven to rejuvenate skin. Located in the heart of the city, the St. Albert Community Hall provides an ideal mixed use venue for special events, club meetings, youth groups, and training or practice sessions. The natural hardwood floor in the main hall is perfect for weddings and dances. Constructed in 1940, the hall retains its small-town charm while providing a flexible modern social environment for community gatherings. Many birthday parties, anniversary parties, and community fundraising events have found a home in the hall. The hall has also provided a long term home for St. Albert groups like the Fish & Game association, the Lions Club, the Air Cadets, and the Karate Club. Jody Reekie is the owner/operator of Modern Eyes Gallery and Gift, where you are invited to explore and shop with confidence. You will find an array of artisan jewellery, pottery, art glass, scarves, shawls and many gorgeous items that make perfect gifts for your special people or for yourself. Modern Eyes is also St. Albert’s complete Pandora Jewellery retailer and has grown with this trusted brand since 2004. Modern Eyes Gallery and Gift provides outstanding products and customer service and provides complimentary gift wrapping. Learn more by visiting moderneyesgalleryandgift.ca online, or @Moderneyesgallery on Facebook and Instagram.